Patients who have decided with their physician that a hip replacement is the best option to treat their hip pain, may be eligible for the Anterior Hip Replacement. 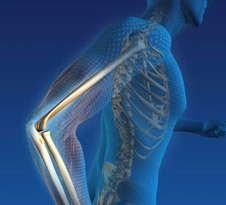 This type of replacement is one of the least invasive procedures which have proven to be a surgical technique that minimizes the pain and the time from surgery to recovery. How is the Anterior Hip Replacement done? The Anterior Approach to hip replacement surgery allows the surgeon to reach the hip joint from the front of the hip as opposed to the side or the back of the hip. Â This way, the hip can be replaced without detaching muscle from the pelvis or femur during surgery. The surgeon simply works through the natural opening between the muscles. The most important muscles for hip function, the gluteal muscles that attach to the pelvis and femur, are left untouched and therefore, do not require a healing process to recover from the trauma of surgery. What are the benefits of the Anterior Hip approach compared to the traditional approach for hip replacements? Anterior Hip Replacement allows patients to immediately bend their hip freely and bear full weight when comfortable, resulting in a more rapid return to normal function. 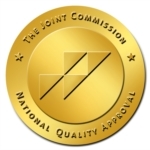 United Regional’s Joint Replacement Program has earned the Joint Commission Disease-Specific Gold Seal of Approval. This certification means that our Orthopedic Center of Excellence staff, orthopedic surgeons and hospital has met the most rigorous standards of care for joint replacements.